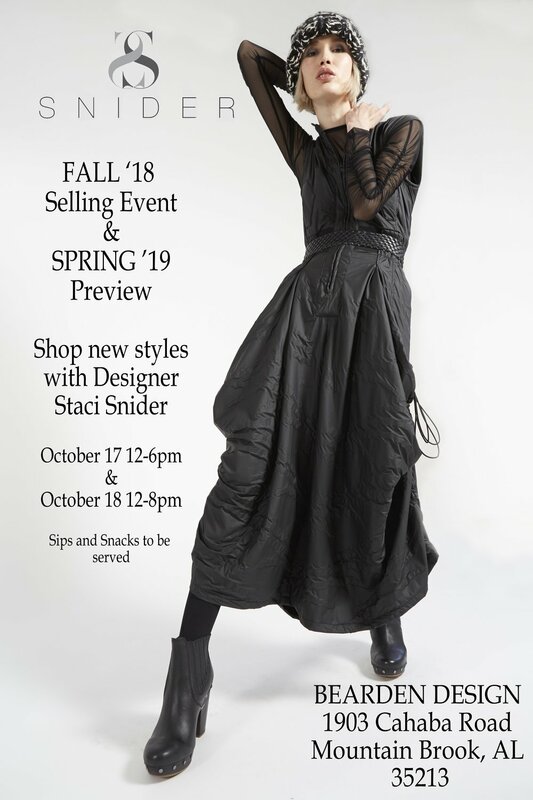 Shop Snider’s latest Spring Summer 2019 collection with the designer at Kilgore Trout Saturday April 27, 2019. Join designer Staci Snider in Mountain Brook, Alabama on Thursday May 16, 2019 for an all day trunk show at Bearden Design et Boutique. She will be showcasing her Spring Summer 2019 collection with styling tips, design inspiration and much more. Come join us for the first trunk show of the Spring 2019 season at Jolie Jordan Boutique in Mt. Kisco, New York. We are excited to showcase the new collection and for a good cause. Shopping proceeds to benefit Rare Cancer Research at Sloan Kettering Cancer Center. 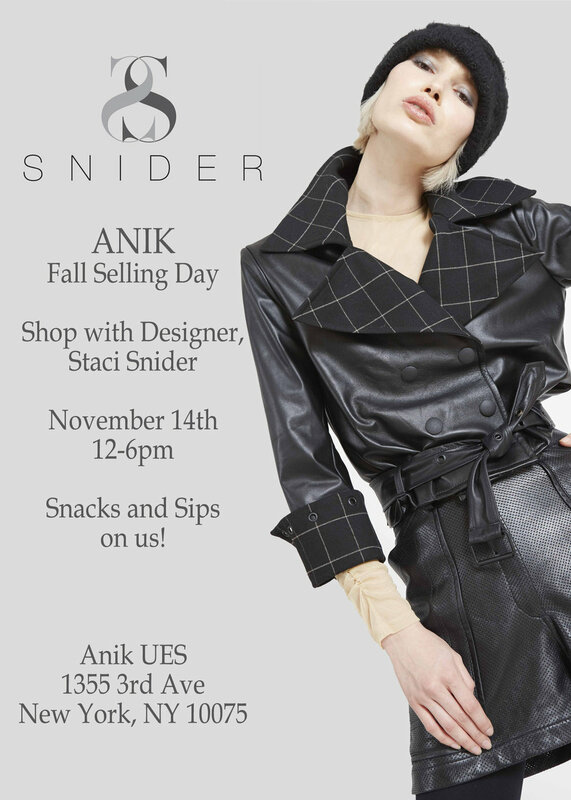 Shop & Style with Designer Staci Snider for this one day only event in NYC. 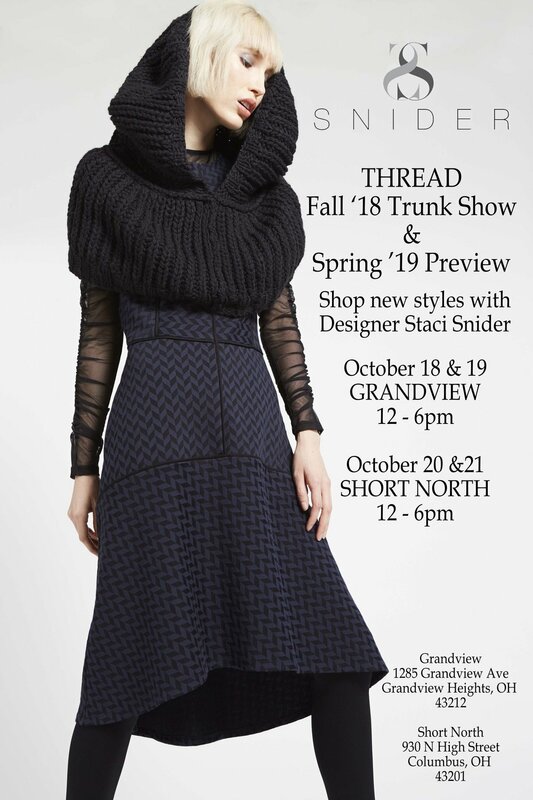 SNIDER TRUNK SHOW @ BOTH THREAD STORES THIS WEEK!! Shop Autumn 2018 with Staci on Friday at the Grandview Store Location and Saturday at the North High Street Store. Meet Designer Staci Snider on Friday and Saturday!!! 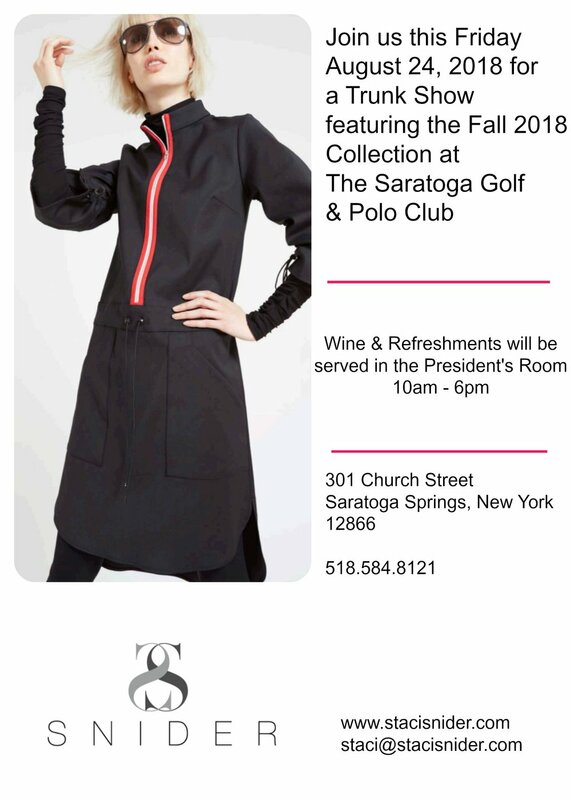 She will be there to assist and talk with on style and fit of her autumn 2018 Collection.